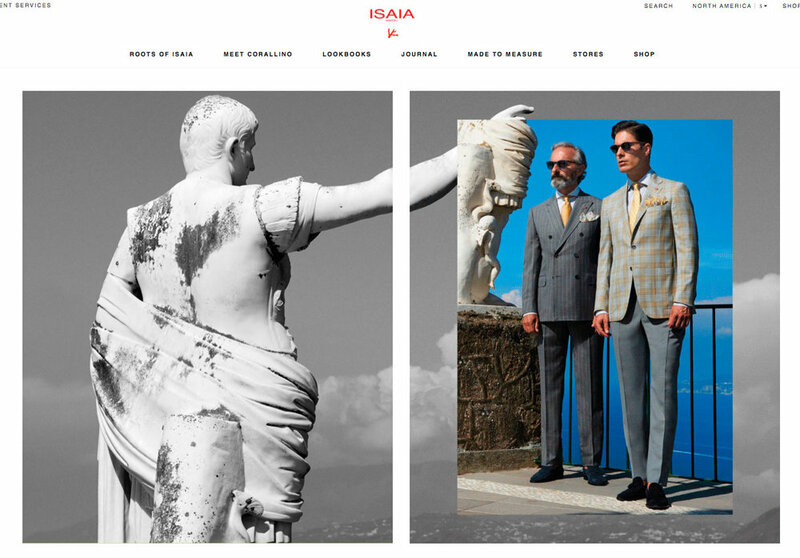 THE ASK - ISAIA IS AN ITALIAN BRAND, CRAFTING ELEGANT MENS SUITS WITH BEAUTIFUL FABRICS AND AN ITALIAN DANDY STYLE. \BASED IN NAPLES FOR 5 GENERATIONS, GIANLUCA ISAIA, THE GREAT, GRANDSON OF THE FOUNDER REQUESTED FOR THE CAMPAIGNS TO BE ‘VERY ITALIAN’. THE IDEA- FOR FALL 2016 DANIELA LOOKED AT ALL THINGS ITALIAN IN NYC. THE ‘ITALIAN IMMIGRANTS’ COMING TO NYC, SCORCESE’S SERIES ON ITALIAN CINEMA, AND THE LOCATIONS IN LITTLE ITALY, AS WELL AS THE MODERN, ITALIAN, CULTURAL CONTRIBUTIONS, LIKE RENZO PIANO’S WHITNEY MUSEUM, AS THE BACKDROP TO THE CAMPAIGN. THE SECOND CAMPAIGN FOR SPRING SUMMER 2017 WAS SHOT ON THE ISLAND OF CAPRI. THE LOOK AND STYLE CAPTURES A TIMELESS ELEGANCE OF THE 1950S WHILE THE MODELS GESTURES AND INTERACTION IS VERY ‘DOLCE VITA’.